Upcycled handbags and totes by Mona B. | P.C. Fallon Co.
Showcase your unique, one-of-a-kind style and do your part to reduce, reuse and recycle at the same time with Mona B.! 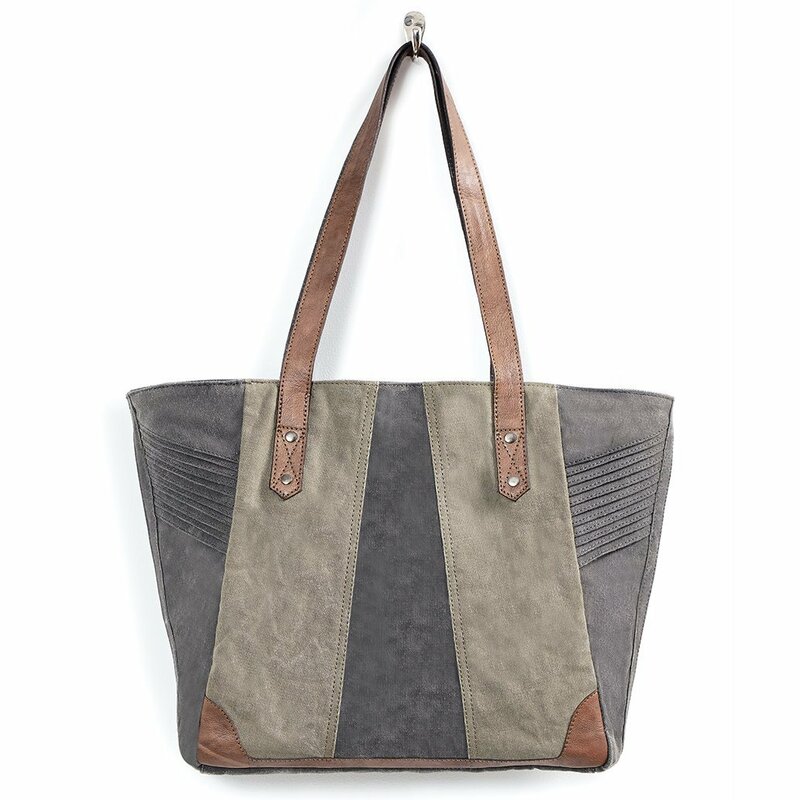 The Mona B. line features "up-cycled" canvas, truck tarps and other materials to create vintage totes that really are vintage. The material in each tote has its own story to tell and its own set of travels. Adding fun graphics and useful features make these bags real statement pieces that are also really useful. Do your part to save the earth and be stylish at the same time! Please note: each bag is a one-of-a-kind, and some variation in color and appearances are expected and desired in such a unique bag.